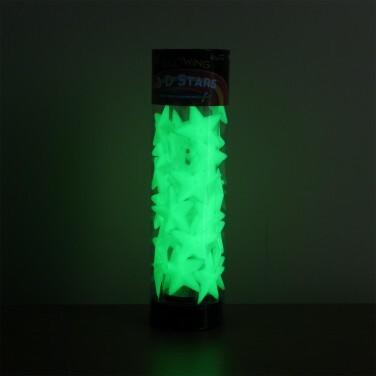 Hang 3D stars from your ceiling or surfaces in your room to create a whole galaxy that glows in the dark! 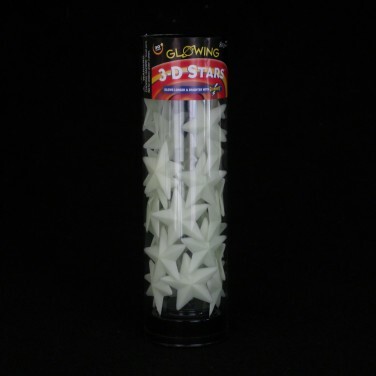 With string to hang and adhesive putty to stick, get creative with 3D glow stars and turn your room into a cosmic scene! 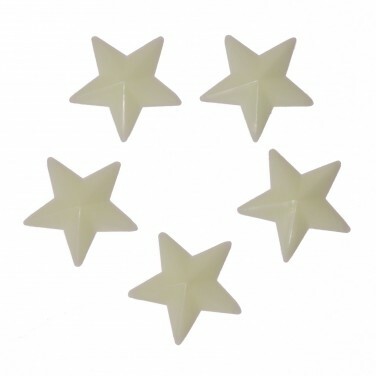 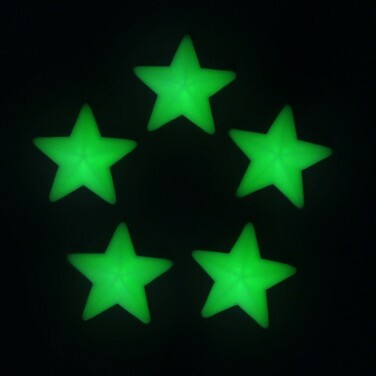 Ideal for kids rooms or for craft projects, allow glow stars to charge in the light and they will glow green in the dark night after night!